One of my friend was asking for a very simple project which can be easily understood with some click. 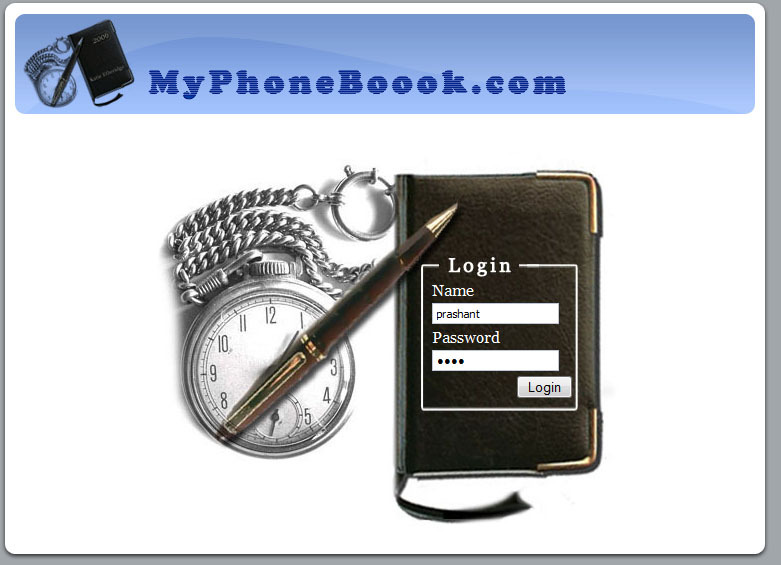 So I developed this project “MyPhoneBook”, where after login one can view their phone book with some phone number list. As this project is just designed and developed in couples of hours, it is very small compare to my previous projects. This project just have some few line of servlet and JSP code for login and signout, no databse.If anyone is downloading this project, they can include database and make it quite better. As it is developed in Netbeans IDE. You will need to open this project by netbeans, or just get the files from web and src directory. 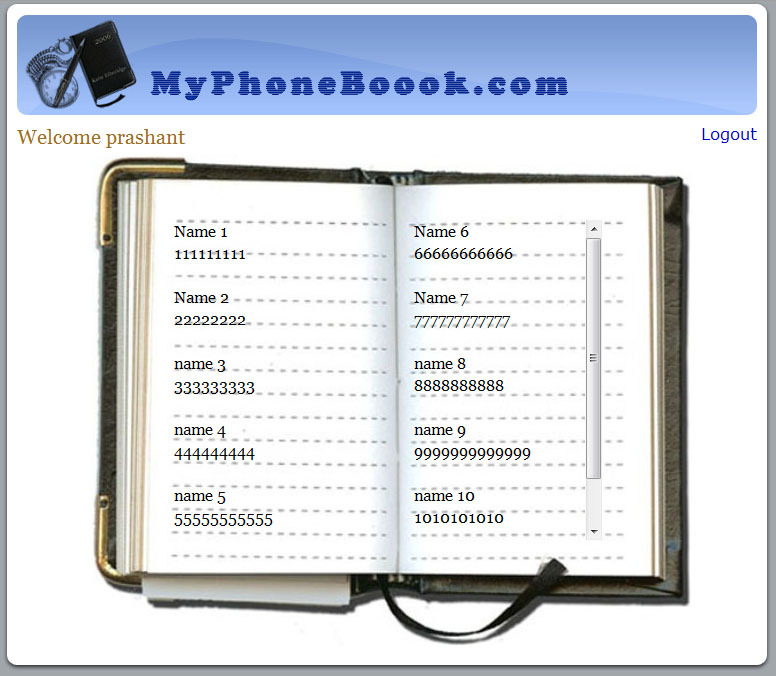 Usename required for the project is “prashant” or “prash” and password “pass”.